www.uktattoostudios.co.uk was set up in early 2006. It already recieves over 200,000 visitors per year and is number 1 in many search engines for a search of tattoo studios. Our site receives 17 times more visitors than tattoostudioguide.com and 3 times more than skindeep.co.uk. Its the second most popular paid tattoo studio online directory, yell.com being the first! It has more paid studios than tattoostudioguide.com and ufindus.co.uk combined. What makes our tattoo directories so popular? We are the only tattoo studio web site who allow visitors to view pictures. 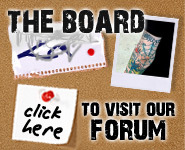 We are the only tattoo studio web site who allow visitors to post reviews on studios. Our studio information is extremely detailed, people can view prices, opening times and get general info on what types of tattoo's each studio does. What makes our tattoo studio information so detailed and accurate? Basically tattoo studios are in control of there adverts. They can login in to there studio account anytime and change the advert in real time. They can also upload examples of work and even a shop image. If you require any more info please email!